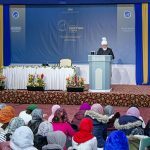 16 The Review of Religions – November 2003 For every spiritual exercise in Islam the ultimate aim is the attainment of God’s pleasure through the regulation of one’s life in accordance with His ordinances. Of the five articles of faith of Islam, the fourth is fasting during the month of Ramadan. The Holy Our’an states: O ye who believe, fasting is prescribed for you during a fixed number of days, as it was p rescribed for those before you, so that you may (safeguard yourselves against moral and spiritual ills and) become righteous. But whoso f rom among you should be ailing (not being permanently incapicitated), or should be on a journey, shall complete the reckoning by fasting on a c o rresponding number of other days; and for those who find fasting a strain hard to bear is an expiation, the feeding of a poor person (if they can afford it). Whoso carries through a good work with eager obedience, it is the better for him. If you had knowledge you would realise that it is better for you that you should fast. The month of Ramadan is the month in which the Qur’an began to be revealed, the Book which comprises guidance for mankind and clear proofs of guidance and divine Signs which discriminate between t ruth and falsehood. Therefore, he who witnesses this month, being stationary and in health, should fast through it. But whoso, is ailing (not being permanently incapicitated), or is on a journey, should complete the reckoning by fasting on a c o rresponding number of by the late Sheikh Mubarak Ahmad, ex-Missionary-in-Charge, Ahmadiyya Movement (U.K.) – This article was first published inthe Muslim Herald in July 1979 Ramadan and the Essence of its Blessings 17The Review of Religions – November 2003 Ramadan and the Essence of its Blessings other days. Allah desires ease for you and desires not h a rdship for you; He has granted you this facility so that you should encounter no h a rdship in completing the reckoning, and that you may exalt Allah for His having guided you and that you may be grateful to Him. (Ch. 2:184-186) Fasting is an old universal institution, practised since ancient times. A study of the Old Testament books, Exodus and Samuel shows that Moses(as) and other Israelite Prophets, on whom be peace, observed the ritual of fasting on important occasions. So did Jesus(as), as is said of him in Matt. 4:2-3: ‘And when he had fasted forty days and forty nights, then he felt hungry’ Indeed, Jesus ( a s ) is reported to have told his disciples in Matt. 17, that evil spirits cannot be exorcised except through prayer and fasting. In Matt. 6 he appears to have gone to considerable lengths to describe the manner in which fasting should be carried out. He says: ‘But you, when you fast, anoint your head and wash your face. That you appear not to men to fast, but to your Father which is in secret: and your Father, which sees in secret, shall reward you openly.’ (Matthew 6:17-18) In Encyclopaedia Brittanica, p.104 Vol. IX, Fasting is explained as follows: ‘Commonest by far, however, of all the uses of voluntary fasting, in the past and at the present time, is its practice as an act of self-denial with definite religious intention. By the greater number of religions, in the lower middle and higher cultures alike, fasting is largely prescribed, and where it is not required it is nevertheless practised to some extent by individuals in response to the prompting of nature.’ 18 The Review of Religions – November 2003 Ramadan and the Essence of its Blessings Objectives of Fasting The Qur’anic verse quoted at the beginning, stipulates three objectives for fasting: 1. ‘So that you may become r i g h t e o u s ’ . The very act of fasting to comply with the commandment of Allah, creates a sense of obedience to Him which leads man to conduct his life generally in accordance with His wishes, avoiding evil tendencies and doing good all round for the attainment of His pleasure. Thus is righteousness a c h i e v e d . 2. ‘That you may exalt Allah for His having guided you’ . The prime object of man’s creation is to exalt Allah and that is why during the month of Ramadan and during the Eid prayers following it considerable stress is laid on the recitation of Takbir. 3. ‘That you may be grateful’. This is a necessary corollary to the attainment of the two preceding objectives. Attributes of the month of Ramadan The month of Ramadan carries many special attributes which have been described by no less an authority than the Holy Prophet(sa) himself. Some of these are: The Opener of paradise Abu Huraira relates that the Holy P r o p h e t( s a ) said that from the first night of the month of Ramadan, satanic forces are chained, rebellious elements are disciplined and the shutters of Hell are drawn without exception. All the Gates of Paradise are opened and a crier shouts: ‘O the seeker of righteous deeds proceed, and O the recliner to evil intentions desist’. Many sinners are granted amnesty from Hell, and this occurs every night of the month’. (Bukhari and Muslim). Abstention from evil tendencies Abu Huraira says that the Holy Prophet(sa) said: When Ramadan arrives the gates of paradise are opened and the gates of hell are locked up and satans are put in chains. (Bukhari and Muslim). 19The Review of Religions – November 2003 Ramadan and the Essence of its Blessings Month of Munificent Charity Ibn Abbas relates that the Holy Prophet(sa) was the most generous of men and he was at his most bountiful during Ramadan when Gabriel visited him every night and recited the Qur’an to him. During this period the bounty of the Holy Prophet(sa) waxed faster than the rain-bearing breeze (Bukhari and Muslim). Intercession from the Qur’an and the fast. Abdallah bin Amar says that the Holy Prophet( s a ), said that the fasting and the Qur’an intercede with Allah on behalf of a servant. Fast shall say: O my Lord, I kept this man from food and other physical comforts throughout the day, so please God, condescend to my intercession on his behalf. And the Qur’an will plead: I kept him away from sleep at night, so please accept my recom- mendation for him. Both these intercessions would be carried. Basic purpose of fasting Abu Huraira relates that the Holy Prophet(sa), said that if one did not eschew falsehood and false conduct, Allah has no need that he should abstain from eating and drinking (B u k h a r i). In Arabic language, falsehood includes wrong deeds, illegal means, bribery, adulteration, etc. Excellence of fasting over other exercises Abu Huraira relates that the Holy Prophet(sa), said: ‘A man’s good works carry multiple rewards, from ten times to seven hundred times. Allah says: A fast is an exception, for it is observed for My sake and I shall bestow the reward for it. He who observes a fast gives up his passion and his food for My sake. For such a one there are two joys: a joy when he breaks his fast and a joy when he meets his Lord. His breath is purer in the estimation of Allah than the fragrance of musk. The fast is a shield. When any of you is fasting he should eschew loose talk and noisy exchanges. Should anyone revile him or seek to pick a quarrel with him, he should respond: I am observing a fast’. (Bukhari and Muslim). 20 The Review of Religions – November 2003 Ramadan and the Essence of its Blessings RAYYAN – chambers of Paradise Saad ibn Sahl relates that the Holy Prophet(sa), said: There is a gate of paradise called Rayyan through which only those will enter on the Day of Judgment who are regular in observing the fast and no one else. A call will go forth: ‘Where are those who observed the fast regularly? and they will step forth and no one beside them will enter through that gate. After they have entered the gate will be closed and no one else will enter from it’. (Bukhari and Muslim). The Holy Prophet’s(sa) sermon on Ramadan Salman the Farasi relates that the Holy Prophet( s a ) delivered us a sermon on the last day of the month of Sha’aban and said: O people, a great month has dawned upon you, a month of blessings in which there is the Lailatul Qadr (Night of Decrees – said to be the night when the Holy Qur’ a n began to be revealed. It can occur on the odd-numbered nights between 21 and 29th) which is better than a thousand months. Fasting during the month is obligatory from God and nightly prayers are voluntary. Anyone who partakes of a good deed in it is like the one who discharges an obligatory ritual in other months. Anyone who discharges an obligatory article in this month is like the one who discharg e s seventy of them in other months. This was a month of patience and patience has its reward in paradise. This was a month of reconcilliation and a month in which a believer’s wealth was enhanced. Anyone who fed a fasting person at the time of his breaking fast will have his sins remitted, will be shielded from fire and will earn a reward equivalent to that earned by the person who fasted without the latter suffering any diminution. We asked the Holy Prophet(sa) that not everyone of us could afford to help feed a fasting person. 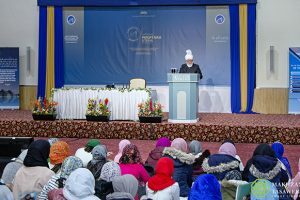 The Holy Prophet(sa) replied that this kind of reward would be available even if a little quantity of milk, yogurt or water was offered at the time of breaking the fast. Anyone who fed a satisfying meal to a fasting person would be offered drinks from my springs so that he 21The Review of Religions – November 2003 Ramadan and the Essence of its Blessings would never suffer any thirst to the day he enters paradise. The earlier part of the month was mercy, its middle remission from sins and the last portion was manumission from fire. Anyone who lightened the work of his servants in this month will have his sins forgiven by God and will find himself saved from fire. Fasting-a peerless act Abu Imamah relates that he asked the Holy Prophet( s a ) for advice which could be beneficial to him firom God, and he replied that he should keep fasts for there was nothing quite like them. Skipping fast without excuse Abu Huraira relates that the Holy Prophet(sa) said that anyone who did not fast on any of the days of Ramadan without lawful excuse or illness would never be able to ransom the loss even if he fasted for the rest of his life. Hypocritical fasting Abu Huraira relates that the Holy Prophet(sa) said: Many a fasting person had nothing except the suffering of thirst, and many a person standing in nightly prayers had nothing but suff e r i n g sleeplessness – and no reward. 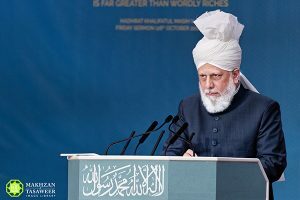 The above quotations from the Holy Qur’an and the sayings of the Holy Prophet(sa), give a clear and concise indication of the true aims and objects of fastings and their beneficial status in the society of Islam. Rules of Fasting We now turn to the conditions attached to this important institution in Islam. Beginning the month of Ramadan. Abu Huraira relates that the Holy Prophet(sa) said: start the month after sighting the new moon and end it at the next sighting. If the vision is clouded then calculate at the end of the 30th day of the month of Sha’aban (Muslim). Ibn Abbas relates that a man from the outskirts of the town came to the Holy Prophet(sa) and reported that he had sighted the moon. The Holy Prophet( s a ) asked him whether he would state this on oath that there was no God but 22 The Review of Religions – November 2003 Ramadan and the Essence of its Blessings Allah and that Muhammad was His Messenger. The man took the oath, whereupon the Holy P r o p h e t( s a ) instructed Bilal to announce that people should start fasting the next morning. Pre-dawn meals Anas says: the Holy Prophet(sa) said: serve yourselves with breakfast, for they are blessed. (B u k h a r i and M u s l i m). In Masnadi-Ahmad it is written that pre-dawn meals are blessed, therefore they should not be left out even though it may consist of a mouthful of water, for God and His angels shower blessings upon those who partake of pre-dawn meals. Amr ibn Aas says: the Holy P r o p h e t(sa) said: the distinctive feature between our fasts and those of the people of the Book is the eating of breakfast (Muslim). Anas says that Zaid bin Thabit told him that the Holy Prophet(sa) took pre-dawn meals with them and then led the prayers. I asked, how long was the interval between the meals and the call for prayers and he answered that it was the time required for the recital of fifty verses (Bukhari and Muslim). Early breaking of fast Sahl ibn Sa’ad relates that the Holy Prophet(sa) said: My people will adhere to good as long as they do not delay the breaking of the fast (Bukhari and Muslim). In another Hadith, Abu Huraira relates that the Holy Prophet(sa) said that Allah, the Lord of honour and glory proclaimed: Of My servants I love most those who are foremost in breaking their fasts (Tirmidhi). In view of these sayings of the Holy Prophet( s a ) and of God Almighty, it is essential that a fast should be ended immediately after the sunset as there is no merit in prolonging it beyond this point. Anticipation of Ramadan with one or two fasts Abu Huraira relates that the Holy Prophet(sa) said: Do not observe the fast on two days preceding Ramadan, but this does not apply 23The Review of Religions – November 2003 Ramadan and the Essence of its Blessings to one who has made a practice of it (Bukhari and Muslim). Eating or drinking by mistake Abu Huraira relates that the Holy Prophet(sa) said: Should any of you eat or drink in forgetfulness of the fast, he should continue his fast till the end, for Allah has fed him and given him to drink. (Bukhari and Muslim). Fasting procedure A person must express his or her intention to fast in words such as: ‘I hereby express my intention to keep the fast of tomorrow during the month of Ramadan.’ With what to end the Fast? Salman ibn Aamir Dhabi relates that the Holy Prophet(sa) said: if any among you keeps a fast, he should end it with a date or else with water for it is pure (Abu Daud and Tirmidhi). Dates need no artificial preservative and have a high glucose content value which helps to revitalise the body rather quickly. They also have a fair proportion of iron in them. Prayer at ending the Fast. Maadh ibn Zahra says that he heard that whenever the Holy Prophe(sa) used to end his fast, he used to pray: O our Lord, for Your sake I kept the fast and with Your food have I ended it. Ibn Umar said that the Holy Prophet(sa) used to say at ending a fast: Thirst has disappeared and veins have received nourishment, and God willing, reward has been secured. Feeding others in ending fast Zaid ibn Khalid Julmi relates that the Holy Prophet(sa) said: He who provides for the breaking of the fast by another or equips a combatant in arms, will receive the same merit as the one who was observing the fast or engaging in Jihad without diminishing in any way the reward of the latter (Tirmidhi). Exemption for pregnant and suckling women Anas relates that the Holy Prophet(sa) said: indeed, God has exempted a pregnant or a suckling woman from fasting. (The fasts thus lost can be kept after the pregnancy. 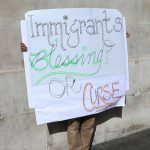 The same applies to a 24 The Review of Religions – November 2003 Ramadan and the Essence of its Blessings sick person and women during their monthly periods). Fast and travel Ayesha says that Hamza bin Amr- al Aslami who used to keep regular fasts told the Holy P r o p h e t(sa) that he fasted even when he was travelling. The Holy Prophet(sa) replied it was up to him to keep or not to keep the fast (this in fact relates to voluntary fasts). Jabir relates: Once the Holy Prophet(sa) was on a journey and he saw a crowd around a person over whom a shade had been erected. He asked what was the matter, and the people replied that the man was fasting. The Holy Prophet(sa) replied, it was no virtue to keep a fast while travelling. 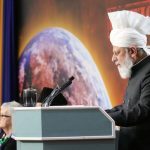 (The Holy Prophet( s a ) d i d sometime fast while travelling but this happened only when he was keeping voluntary fasts; otherwise, as far as the fasts during the month of Ramadan are concerned, it is the Qur’ a n i c injunction not to fast while travelling but to make up the lost count on other days. However, if a traveller wishes to stay at a certain place during his journeys for at least fifteen days or more, then he should keep the fasts). Recompense for marital relations while fasting Abu Huraira relates that once we were sitting with the Holy Prophet(sa) when a man came and cried: O Messenger of Allah, I have indeed been doomed! The Holy Prophet(sa) asked what the matter was and the man replied that he had consorted with his wife while he was fasting. The Holy Prophet( s a ) asked him whether he could afford to free a slave and he replied that he could not do so. He asked him whether he could fast continuously for two months and the man replied no. He asked him whether he could feed sixty poor and the man replied no. The Holy Prophet(sa) asked him to sit down and wait. Shortly thereafter, a basket of dates was brought by someone to the Holy Prophet(sa) whereupon he called for the person in question and asked him to feed those dates to the poor. 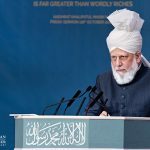 The man said: By God, O Messenger of Allah, there is no house poorer than mine in 25The Review of Religions – November 2003 Ramadan and the Essence of its Blessings this valley. This made the Holy Prophet(sa) laugh so that even his back teeth could be seen, and said: All right, go and feed them to your family. On miscellaneous matters Anas relates that someone came to the Holy Prophet( s a ) and said: I have an eye complaint. Is it possible to treat my eyes with antimony while I am fasting? The Holy Prophet( s a ) replied: yes, (this shows that usage of eye drops or similar treatment of eyes during fasting is permissible, provided the ailment or inflammation is not serious enough to bring the s u fferer into the category of a sick p e r s o n . ) Aamir ibn Rabia says that several times he saw the Holy Prophet( s a ), brush his teeth while he was f a s t i n g . A companion of the Holy Prophet(sa) says that he saw the Holy Prophet(sa) at a place called Araj, drenching his head with water while he was fasting, because of thirst or heat. Voluntary vomission, taking injection or enema treatment are infringements of fasts. If vomitting causes weakness, the fast can be ended. For intentional infringement of a fast during the month of Ramadan, it is not only necessary to keep another fast on another day but also to observe the penalty of keeping sixty successive fasts or to feed sixty poor people either in one place or separately or to feed one similar person for sixty days or to pay an equivalent sum of money. Abu Huraira relates that the Holy Prophet(sa) said: if anyone hears the call to prayers while he is still in the process of drinking or eating the final portions, he should complete the process of eating or drinking. The last ten days of the month of Ramadan Having completed 20 days of fastings in the month of Ramadan, a believer feels a sense of achievement towards the attain- ent of God’s pleasure and therefore wishes to complete the remaining ten days with greater 26 The Review of Religions – November 2003 Ramadan and the Essence of its Blessings vigour and enthusiasm. It is reported that the Holy Prophet(sa) kept awake for most of the night for prayers and exhorted his family to do the same during the last ten days of Ramadan. Ayesha further reported that every year till the time of his death, the Holy Prophet(sa) used to go into retreat into the mosque during these ten days and nights of Ramadan, and the same practice was continued by his wives after his demise. This retreat starts after the morning prayers on the 20th of Ramadan. It is permissible for a person observing this seclusion to go out of the mosque for Friday prayers or for personal hygienic matters. 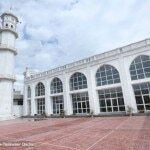 It is reported that the Holy Prophet( s a ), while walking outside the mosque, used to enquire about a person’s health without stopping. [see article on Iti’kaf on page 30] Night of Decrees Ayesha relates that the Holy Prophet(sa) said: seek the Night of Decrees among the odd nights of the last ten days of Ramadan (i.e. 21st, 23rd, 25th, 27th or 29th). Anas says that the Holy Prophet(sa) said: During the Night of Decrees, the Archangel, Gabriel, appears with a host of angels and all of them pray for the person who may be standing or sitting in prayers to Allah the Exalted. Special prayers for the Night of Decrees Ayesha relates that she asked the Holy Prophet(sa) that if ever she happened to discover the Night of Decrees, what special prayer should she recite. The Holy Prophet(sa) advised her to say: O our Lord! You are forg i v e n e s s personified, Who loves forgiving, therefore forgive me. Fitr contributions At the end of the month of Ramadan there is a small contribution on behalf of all members of the family to be used for the benefit of the needy. It is reported that the Holy Prophet( s a ) prescribed this contribution at the end of Ramadan. It was then equivalent to a measure of dates or cereals, payable by every free person or servant, male or female, young or old from amongst the b e l i e v e r s . 27The Review of Religions – November 2003 Ramadan and the Essence of its Blessings Expiation Persons suffering from illness or those who cannot fast due to old age should expiate the omission by feeding a person for every day of the month of Ramadan, provided of course they are financially able to do so. This type of feeding or paying of an equivalent amount on behalf of a deceased is also permissible. Fasting and Health The Holy Prophet( s a ) is reported to have said: Keep fasts to gain health. Thus, fasting is not only a spiritual exercise but also beneficial physically; it is particularly useful for the treatment of obesity and blood p r e s s u r e . Eid-ul-Fitr At the end of the month of Ramadan the festival to mark the end of fasts is celebrated by congregational prayers. This is governed by the following injunctions: • To proceed to the prayers of Eid-ul-Fitr after paying the Fitr contributions (see above). • It is desirable to have a bath in the morning. • The use of scents was a tradition of the Holy Prophet(sa). • The Holy Prophet(sa) used to eat something before going to Eid- ul-Fitr prayers. • It was the practise of the Holy Prophet(sa) to proceed for the prayers on foot and to return by a different route. • Women are also exhorted to come to the prayers. • There is no Azan (Call to Prayers) nor lqama (the shorter call) before the Eid-ul-Fitr prayers. • There are twelve Ta k b i r a t s (with both hands raised ear high and saying ‘Allahu Akbar’ , Allah is the Greatest) in the Prayers, seven in the first Raka’at and five in the second. • The Holy Prophet(sa) is reported to have exhorted the believers to decorate the Eid prayers with special Takbirs. 28 The Review of Religions – November 2003 Ramadan and the Essence of its Blessings • Prayers are followed by a sermon which forms part of the Eid prayers and should be listened to attentively. • One may follow the Eid-ul-Fitr with six days of fastings during the month of Shawwal. The Holy Prophet(sa) is reported to have said that if anyone fasted for the whole of Ramadan and then followed it with six days of further fasting, he would have acted as if he had fasted for the whole of his life. The Sayings of the Promised Messiah(as) with regard to Fasts . 1. ‘Insofar as I am concerned, I do not leave a fast unless it is likely to cause my death; I do not feel inclined to leave a fast. These are blessed days and are the days of the showerings of God’s blessings and Mercy’. (AI-Hakm, 24.1.1901). 2. ‘Ramadan is a blessed month, a month of prayers’. (AlHakm, 24.1.1901). 3. ‘It is reported in Hadith that two types of people are the most unfortunate: one who lived through Ramadan and failed to have his sins forgiven; the other who had his parents and they passed and he was unable to have his sins remitted. While a child is in the care of his parents, they bear all his worries and troubles. A man comes to know the value of his parents when he himself becomes responsible for his own affairs. In the Holy Q u r’an, God has given a degree of preference to a mother, for a mother bears the hardship for her child. However infectious a disease a child may catch, maybe smallpox, cholera or plague, a mother never leaves her child. Once my daughter had cholera and her mother used to handle her vomissions and other secretions with her own hands. A mother partakes of all her child’s afflictions. This is out of natural love of which there is no parallel.’ (Majmooa Fatawa Ahmadiyya, Vol. 1, p.182) 4. Once the Promised Messiah(as) 29The Review of Religions – November 2003 Ramadan and the Essence of its Blessings was asked about fasting while travelling. The Promised Messiah(sa) replied: ‘As far as the Holy Qur’an is concerned, it says: Whoso among you is sick or is on a journey shall fast the same number of other days. This means that a sick person or a traveller must not fast. This is an order and there is no option from God A l m i g h t y. In my view, a traveller should not fast. However, some people do keep fasts as a matter of course and if they do so while travelling in pursuit of this practice, there is no prohibition although one must still have regard for the injunction: shall fast the same number of other days. A person who goes to considerable trouble in keeping a fast while travelling tries to please God by force rather than earning His pleasure by following His commandment. This is a mistake. True belief consists of following the injunctions and prohibitions of Allah’. 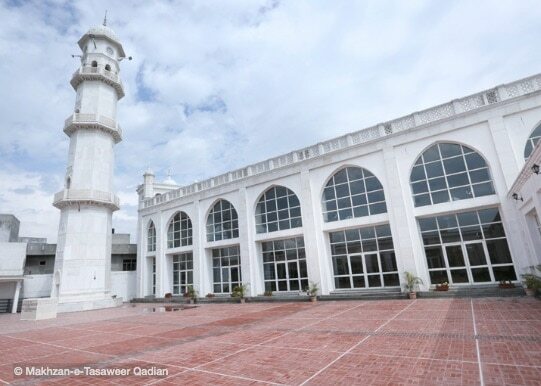 (Majmooa Fatawa Ahmadiyya, Vol. I p.179). 5. A person told the Promised Messiah(as) that while he was at home he honestly believed that there was still some time before the starting of the fast and therefore he ate something with the intention of keeping the fast on that day. Later on he had learnt from someone else that dawn had already occurred by that specified time. This person therefore asked whether he could continue with the fast of that day. The Promised M e s s i a h( a s ) replied: In these circumstance, he had a legitimate fast and there was no need for substitution on another day, for he did his best and his intention was perfect. (Majmooa Fatawa Ahmadiyya, Vol. 1, p. 183).